In this article, we explain the diffrent Velum positions that help perform the different plato-pharyangel mechanisms. Required for normal breathing from both the oral and nasal pathway. 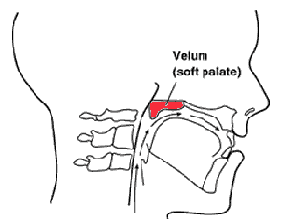 The velum is dropped downwards to keep the naso-pharynx and oro-pharynx opened. 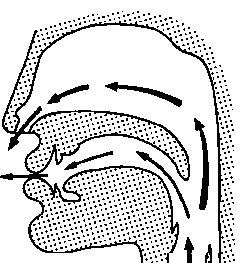 Required to permit the exit of air through the nasal cavity for nasal breathing. 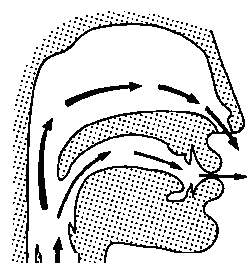 Palato pharynges muscles pull the soft palate down towards the tongue. Tensore veli palatine muscles flattens the dome shaped of the soft palate. 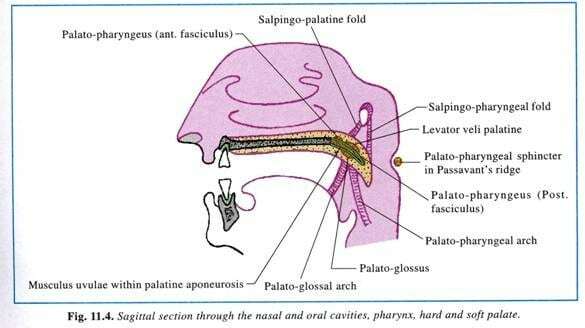 Palato glossus muscles contracts to force the tongue upward and backward. Required for swallowing and pronunciation of the letters in the oral cavity. 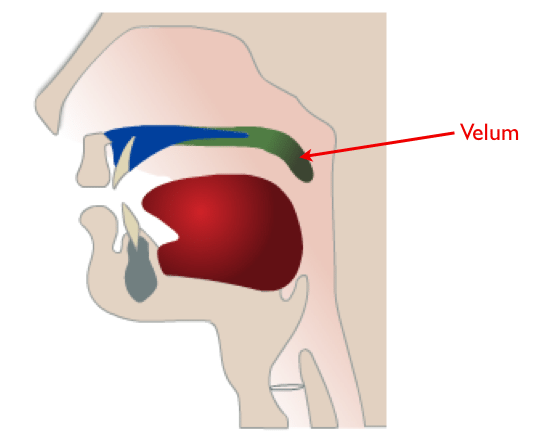 Middle 1/3 of the velum is curved upwards and backwards contacting the posterior wall of the pharynx. It contacts at or above the plane of the plate at the level of the atlas vertebra. Done by Levator veli palatine muscle. Aided by the uvulae muscle to add bulk to the nasal surface of the velum. 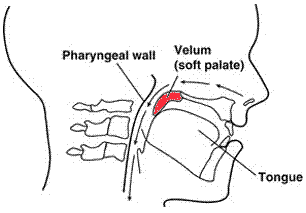 Forward movement of the posterior wall of the pharynx (by the superior constrictor muscle and aided by the palate pharynges muscle). Is a horizontal roll of tissue raised by fibers on the posterior wall of the pharynx forming prominence on the posterior wall of the pharynx, its located at the level of the plate (at the level of the atlas vertebra), Forms a ring around post and lat walls of nasopharyngeal isthmus. More prominent in cases of soft palate defects with a compensating mechanism. Its considered a guide for placement of prophesies restoring palatal defects. Etiology: Inadequate / short length of the soft palate (due to congenital or developmental defects) leading to inadequate palate pharyngeal closure. Etiology: normal tissue is present but with impaired function (due to neurologic disease “poliomyelitis” or cerebro vascular accidents) leading to inadequate palate pharyngeal closure. Misr International University Prothesis Core curriculum.